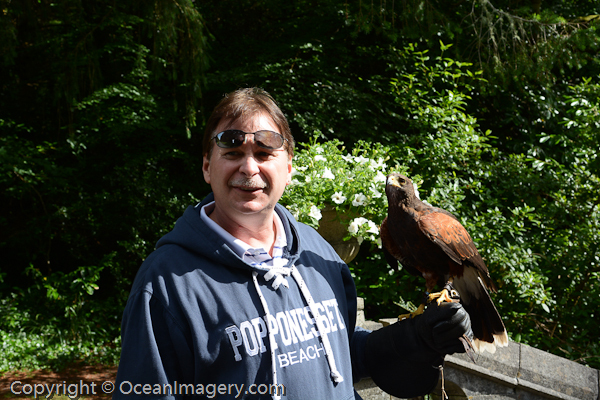 Here is a short video clip I took in the backyard of the beautiful 5 star Ashford Castle Hotel… Enjoy! 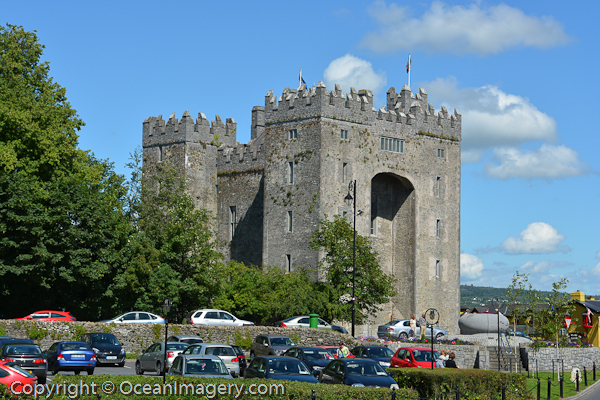 After leaving Ashford Castle we traveled South with the rest of the Bedford Clan to County Clare, where we would spend one night at Bunratty Castle Hotel before driving back to Dublin for our flight home. We had a chance to tour the old castle before it closed and then enjoyed a traditional Irish medieval dinner at the Bunratty Castle Estates. There was great food, entertainment and even some traditional Irish dancing to round out the evening. I will try to post a couple of videos later when I have time to edit them. I got to walk Granny Ann down the path for the second time and then did my best to document the entire event in photos. It was a very nice ceremony and a perfect place to have it! Afterwords we hustled back to the Castle for a lavish dinner in the main dinning room to be followed by a surprise wedding cake courtesy of the Ashford Castle staff. As you will see in the photos… everyone had a great time! Today we, meaning the entire Bedford Clan, decided to do a little sightseeing of the western side of the country. So after inquiring with the concierge at the castle, we were lined up with a very nice older gentleman who had his own tour bus and sightseeing business. We gave him a couple of places we thought we would like to see and then he put together a full days outing which would have us cover a huge area of western Ireland. We traveled over the mountains through the beautiful Connemara National Park and as far north as Leenaun (I think… no cell service!) 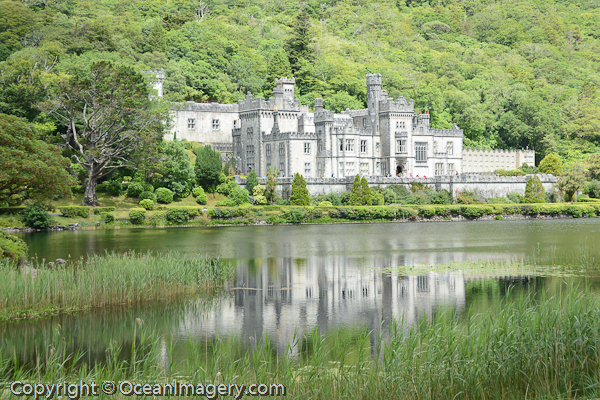 We tip-toed through the Peat Bogs and also had a nice lunch at The Kylemore Abbey Castle. We drove out Sky Road through Kingstown to one of the western most points to a beautiful scenic overlook of the Atlantic Ocean and then down through Clifden. 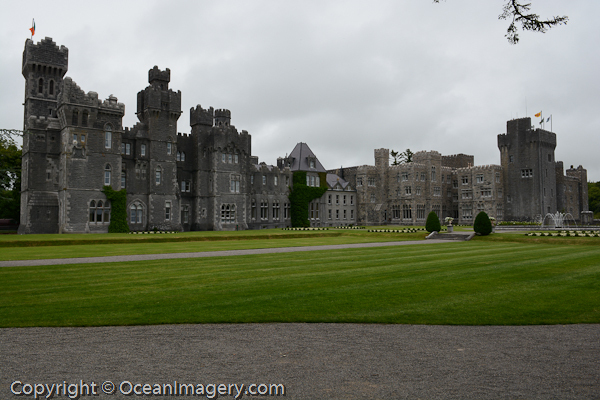 It was a very long day, but we felt we had seen a lot of the country by the time we got back to Ashford Castle. 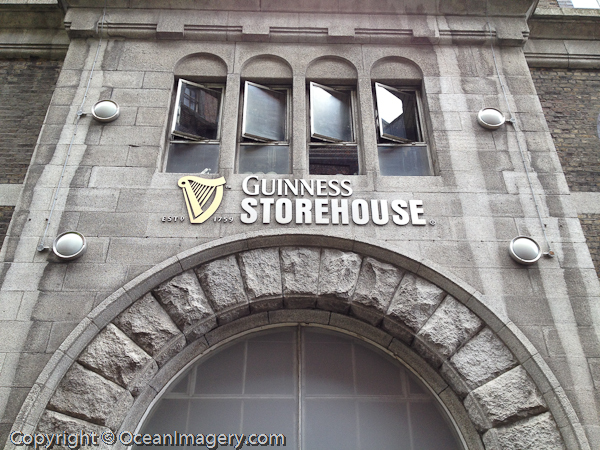 After spending a few fun filled days in Dublin it was time to move on to phase three of our trip. For this we would rent cars (for Julie’s sisters family and ours) and drive across the Republic Of Ireland to the West where we would meet up with the rest of the Bedford Clan at Ashford Castle just outside of Cong on the Mayo-Galway border. We would spend a week here at the castle and do as much sightseeing of western Ireland as possible. The castle was originally built in 1228 by the Anglo-Norman House of Burke and over looks the Lough Corrib lake. The castle and its property has changed hands many times over the centuries and at one time was even owned by Sir Benjamin Lee Guinness of the Guinness Family. 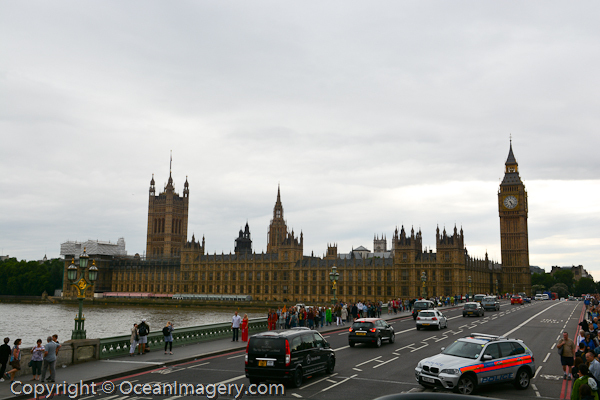 After spending several days sightseeing and living it up in London, we were ready to start the second phase of our summer family trip which would land us in Dublin, Ireland. Another beautiful city with lots of culture and awesome friendly people. We would only be here for a few days before starting our road trip to the west and Ashford Castle, so we tried to fit as much in as we could. For accommodations, we stayed at the Merrion Hotel in the heart of the city and therefor had to make reservations at the world famous Restaurant Patrick Guilbaud. We had a fantastic time in Dublin and to top it off I was able to celebrate my birthday with a huge seafood feast… I would pay for that later!! 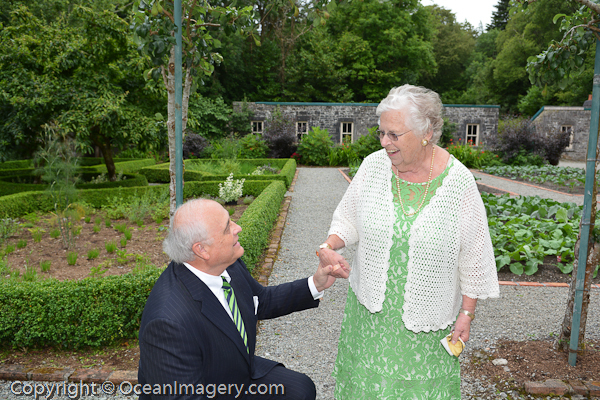 This Year we decided to go to Europe as a family to help celebrate Julie’s parents 50th wedding anniversary and see them renew their vows at Ashford Castle in Ireland. The first leg of our trip would be spent in London where we met up with Julie’s Sister and her family for a couple of day of sightseeing fun. The city of London is beautiful and we fell in love with it right away. Our son Dylan (now almost 4 and a half) handled the long flight and traveling very well. We where a little concerned about taking him at first because of all the hopping around we where planning on doing once we where overseas. I’ll tell ya, he was a trooper… but thank god every restaurant in Europe has french fries! !